A minimally invasive procedure for anti-aging and sun damaged skin is a medical grade chemical peel. We offer several types to lighten acne scarring, sun damage (age spots), freckles, and minimize fine lines & wrinkles. Chemical peels are applied to the skin to restore and rejuvenate unhealthy skin. By removing damaged outer layers, new healthier skin replaces the old. Your skin condition and type will determine which peel is best for you. The procedure does not burn or sting and there is no down time. 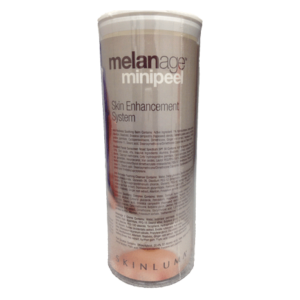 You will experience mild to moderate peeling for one to two weeks post treatment as the skin sheds damaged layers. 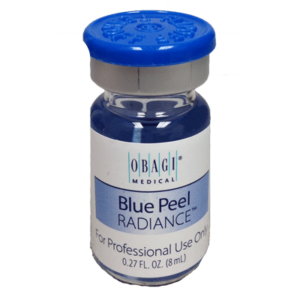 The Blue Radiance Peel is a salicylic acid based peel that requires little to no down time and is best for fine lines & wrinkles, uneven skin tone & texture, and acne & acne scarring. You will experience minimal peeling for 2-3 days post treatment. Actinage Skin Peel is a superficial yet powerful chemical peel designed to treat patients of all skin types with acne problems. It combines the powerful effects of salicylic, mandelic, and azelaic acids in a combination with retinol for the treatment of oily and blemish-prone skin. This peel has anti-aging benefits as well as treats the source of the acne creating a healthy and pain free acne treatment. When it comes to acne, we need to exfoliate the dead cells on the surface, purge the oils and congestion from the pores, shrink the oil glands, and kill off bacteria. Acne can be hard, but you have to be persistant and consistant for optimal results. 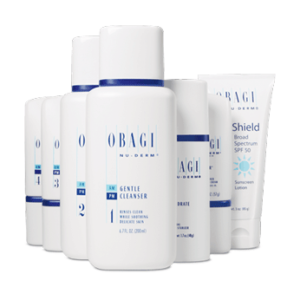 After chemical peels heal, results may be maximized by using products from the Obagi Nu Derm System or iS Clinical. Our aesthetician, Cathy, will help determine what is best for you. A special treat for yourself or a friend is a facial to improve skin texture and tone. Our aesthetician has several that you can choose. A FIZZ Foaming Enzyme facial exfoliates the skin, has anti-aging properties and leaves the skin feeling smooth. The Rejuvenating Mask is a treatment used after a microdermabrasion or dermaplaning and makes the skin feel revitalized. A Pumpkin Mask is an intensive resurfacing mask, for skin tightening and brightening that removes dead skin cells, minimizes fine lines, and is suitable for all skin types. Our Fire & Ice Pumpkin Facial combines an exfoliating peel and rich, luxurious facial into a single treatment. Designed and developed to treat aging, acne and hyperpigmentation. Rejuvenates skin to a smooth and healthy glow without down time. Teen Acne Facial is a 30 minute mini-facial created with the teen’s complexion in mind; addresses break-outs and teaches the importance of good skin care habits. Extractions included. If you desire a non-surgical procedure for decreasing the signs of aging, a chemical peel or facial may be your answer. Make an appointment at 864-641-1491 to determine your options and what would be best for your skin.